﻿﻿Since its inception I have observed ﻿Aam Aadmi Party﻿ from a close proximity. Being conceived, then infancy and taking its first step as a toddler in politics and finally striding the steps to relish an unprecedented victory, have covered every aspect from close vicinity. The euphoric and exited crowd at Jantar Manar in Delhi on the day of AAP's launch can be barely forgotten. Along with thousands of tricolors, also fluttering were the hopes of the supporters, espying dreams of a better tomorrow. Though the hopes had begun to ebb, but after triumphing the national capital with the recently concluded Delhi assembly elections, those hopes started blooming again. Having personally known few of the state as well as national members of the party and observing the party's way of functioning; without making any political statement or being judgmental this is what I can say. Internal strife is healthy for democracy, but there’s a thick line between ‘contradiction’ and ‘ruckus’. As law makers they should very well know how to differentiate between the two. I would endorse Kumar Vishwas’s views, that if one has to depart from the party he should rather do that gracefully. Activist Medha Patkar has rather uphold an apt example of that, biding adieu to AAP silently. It is wise to realize that there are many views or opinions about things in the world and yours is simply just one of them. Being right is not always the wisest approach. Listening and learning about alternative viewpoints can help expand our awareness and possibly social influence. Being a quality listener pays dividends. Listening carefully before we speak opens doorways of greater communication. The challenge is not what the outer world is telling us, but it's our 'lack list' that we constantly focus and get weaker by saying what we don't have, instead of doing the best with whatever we have. 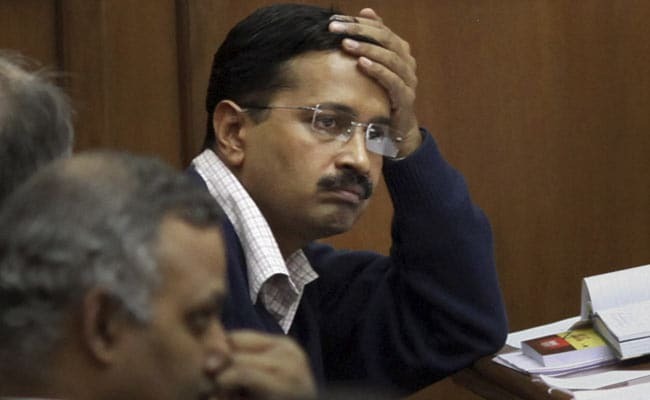 Mr. Arvind Kejriwal five years is not too long; it would just pass in the spur of a moment. Then what? Hope your action doesn’t put that political graph only downwards and finally without any option for a comeback. Remember, everything occurs in cycles. When you’re at your peak, do what you’d normally do at your bottom. When you’re at your bottom, do what you’d normally do at your peak. Learn to neutralize the swings to keep the graph going. No unauthorized publication or use of any content allowed without prior permission | All rights reserved by the author | Feel free to Share via buttons displayed on the left.